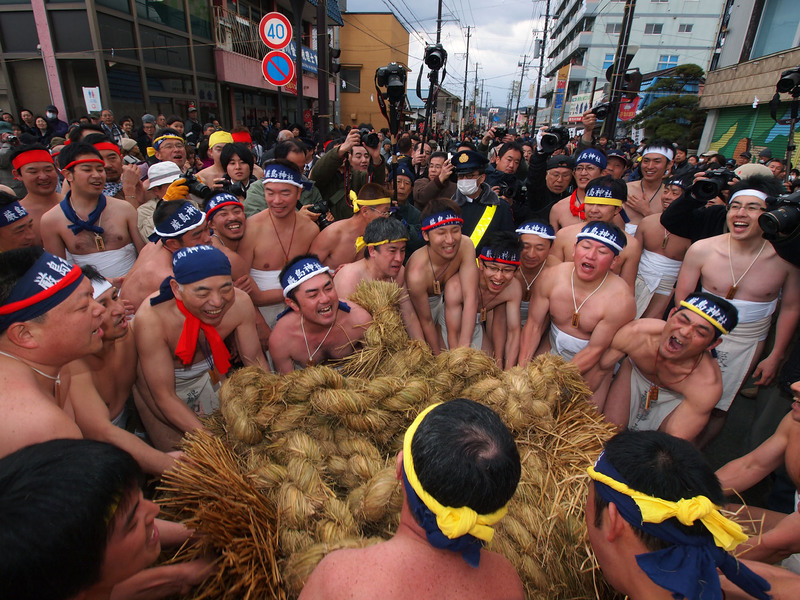 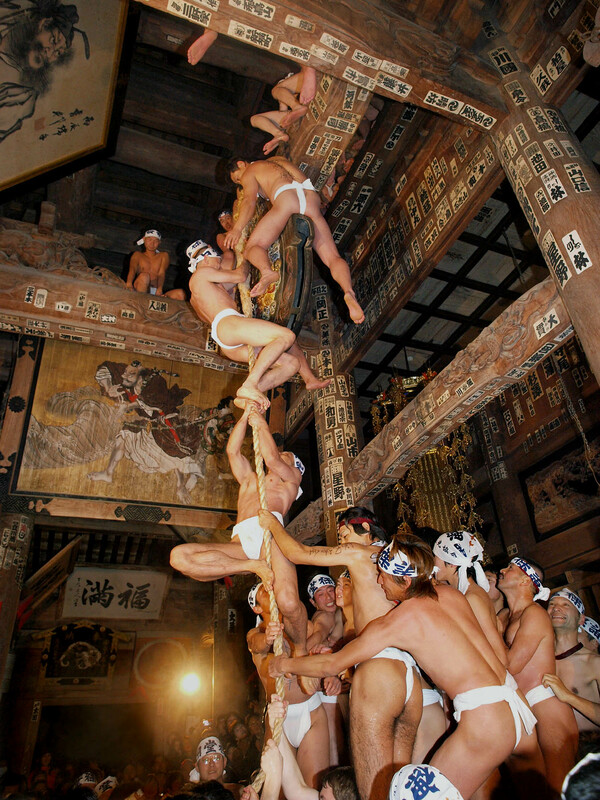 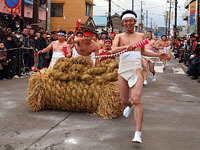 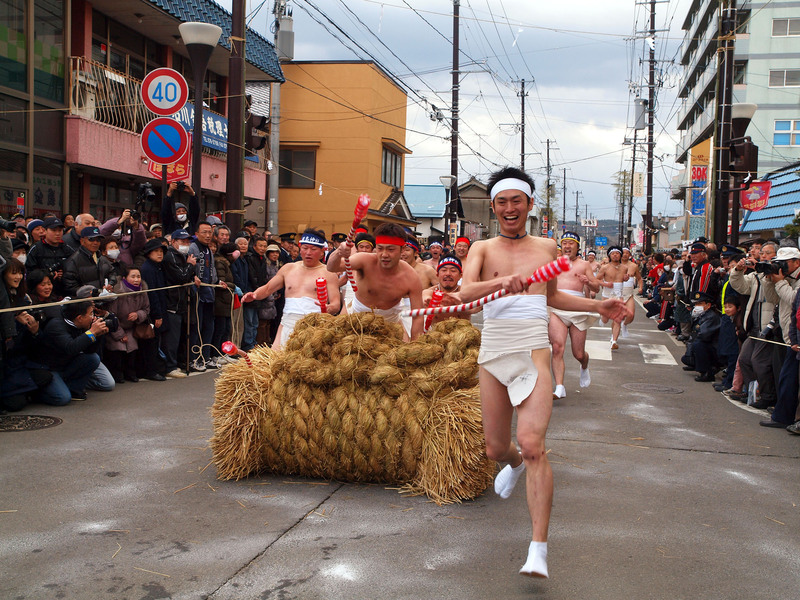 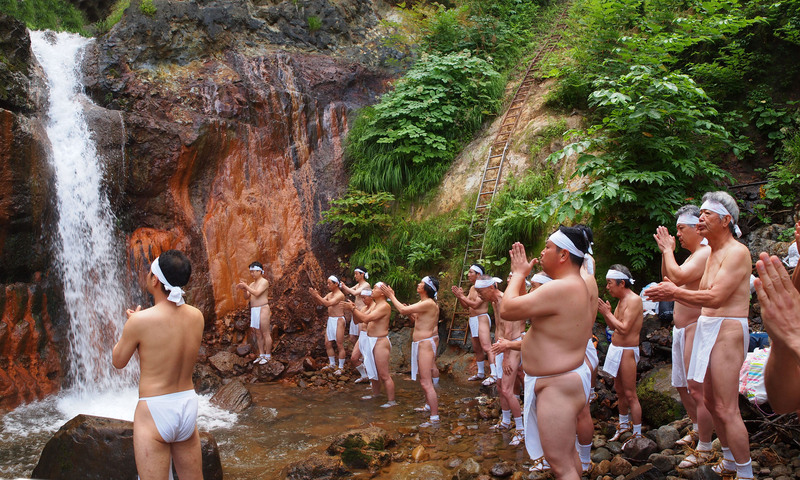 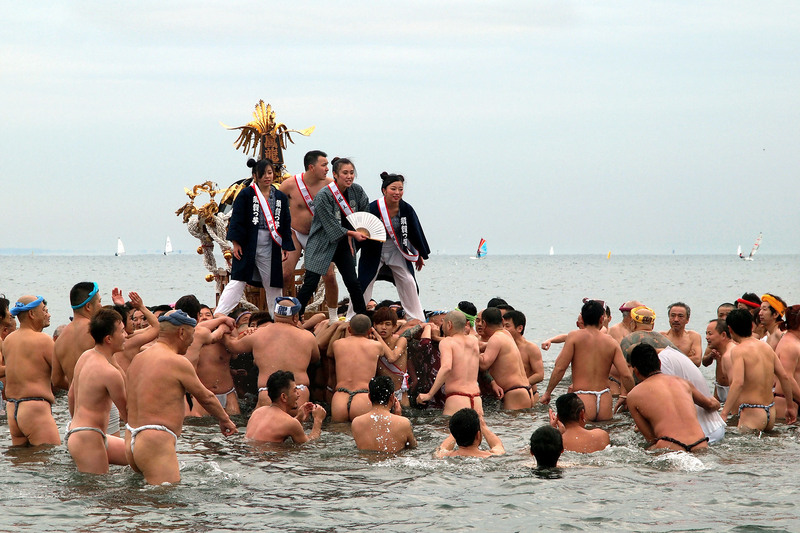 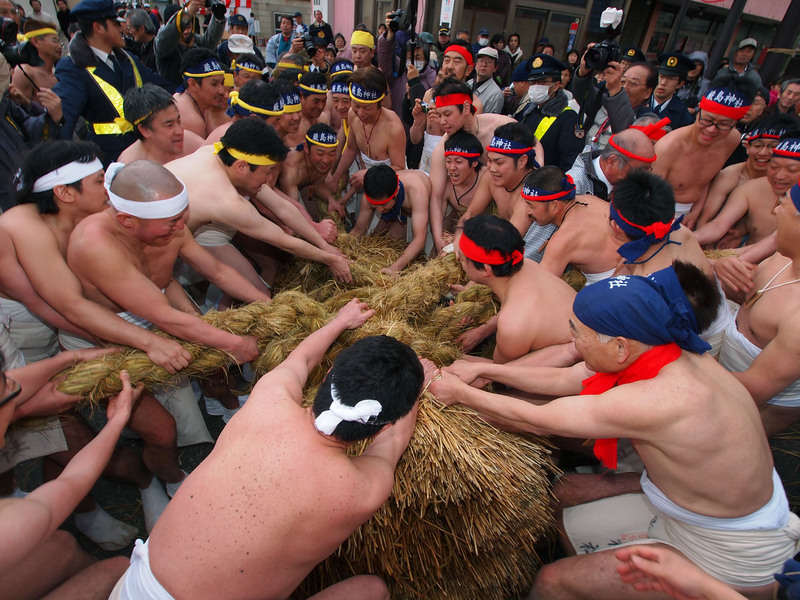 white loincloth of amazake scattering festival. 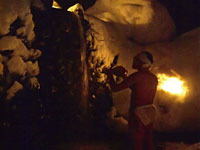 The snow-covered waterfall, unyielding spirit wearing a white loincloth only. 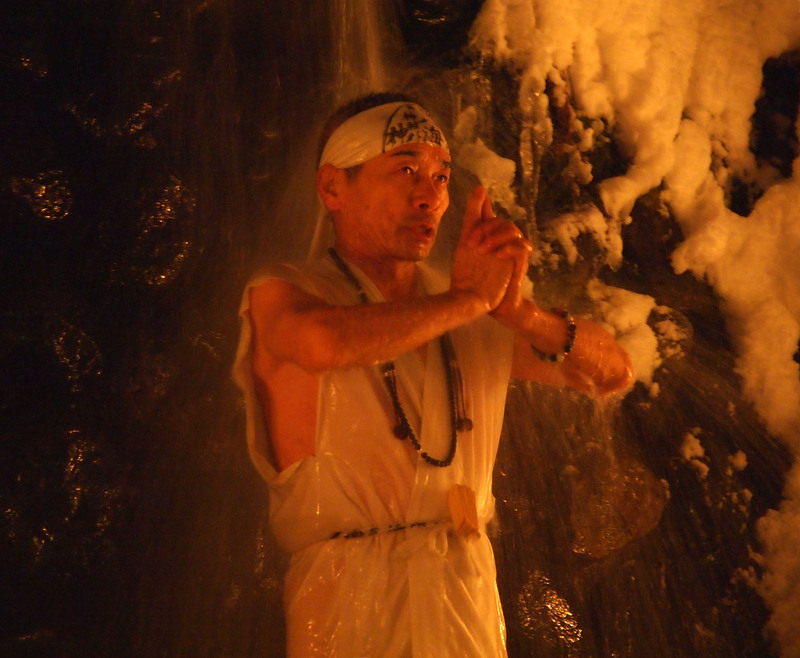 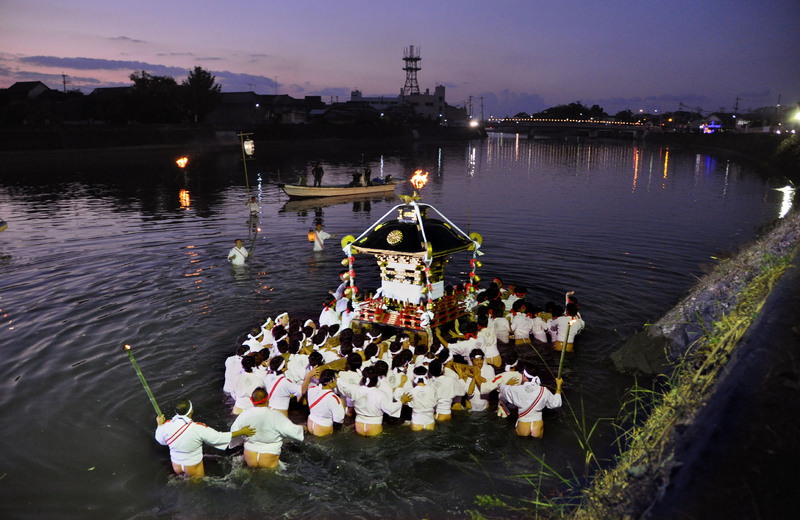 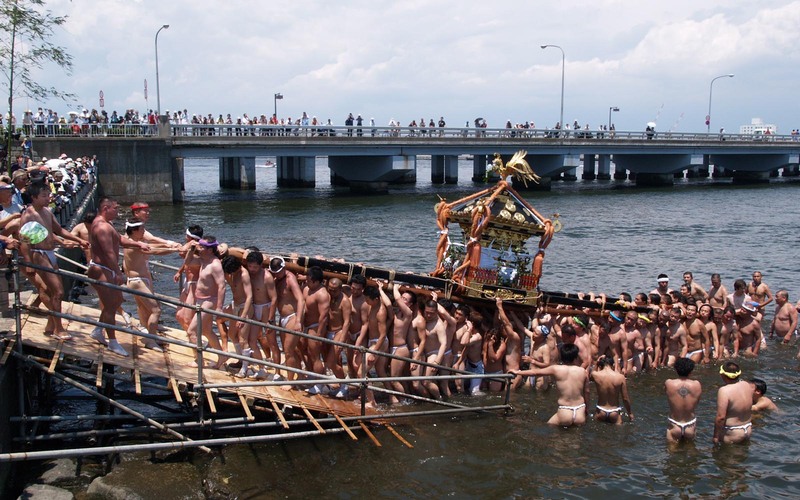 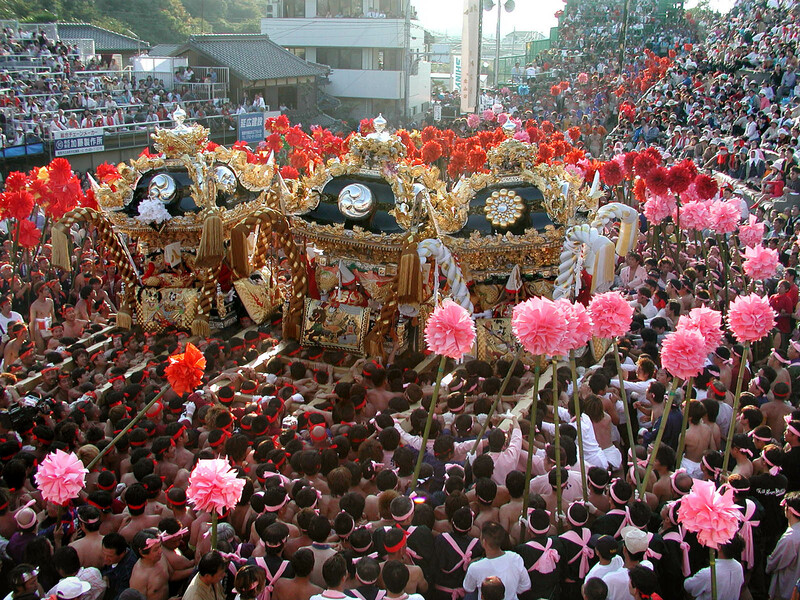 Autumn river, white loincloths of mikoshi carriers dripping wet. 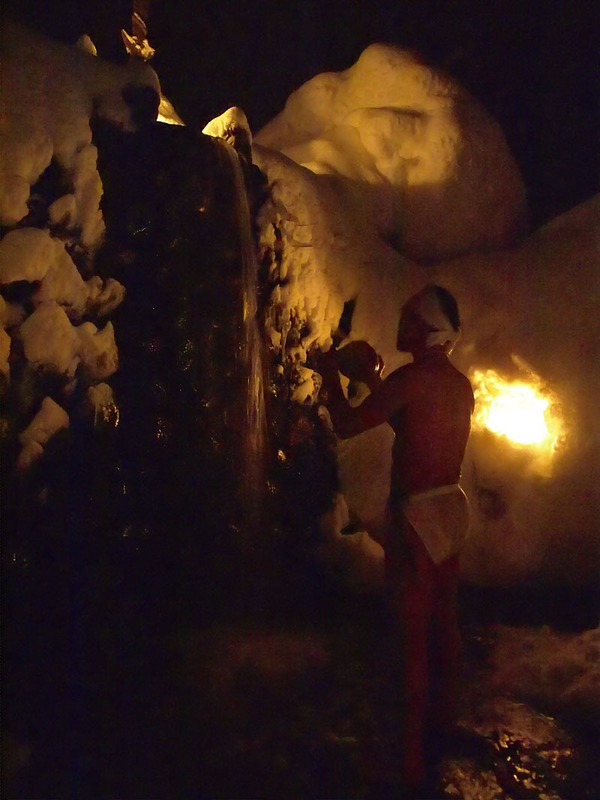 Getting more like spring, Tsutsuko lifting wearing a white loincloth. 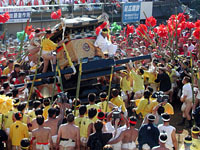 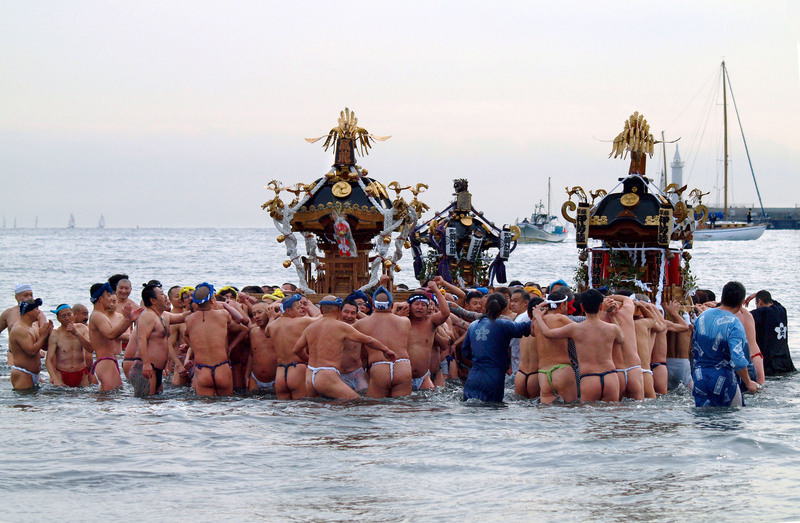 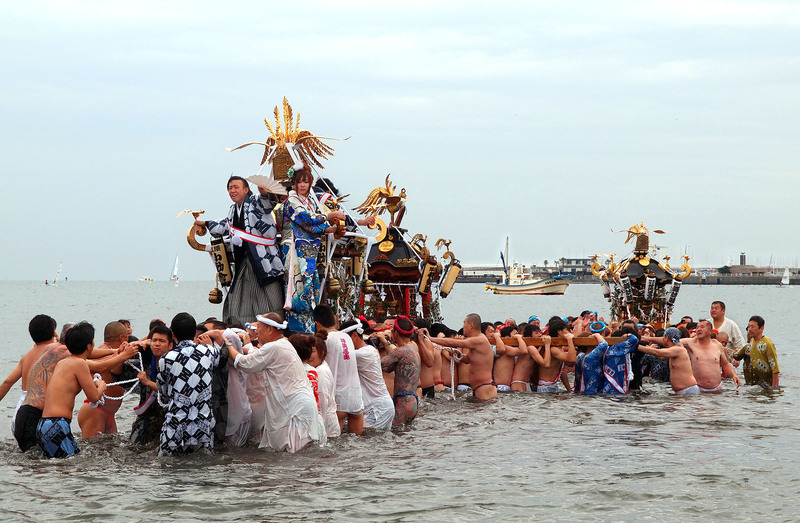 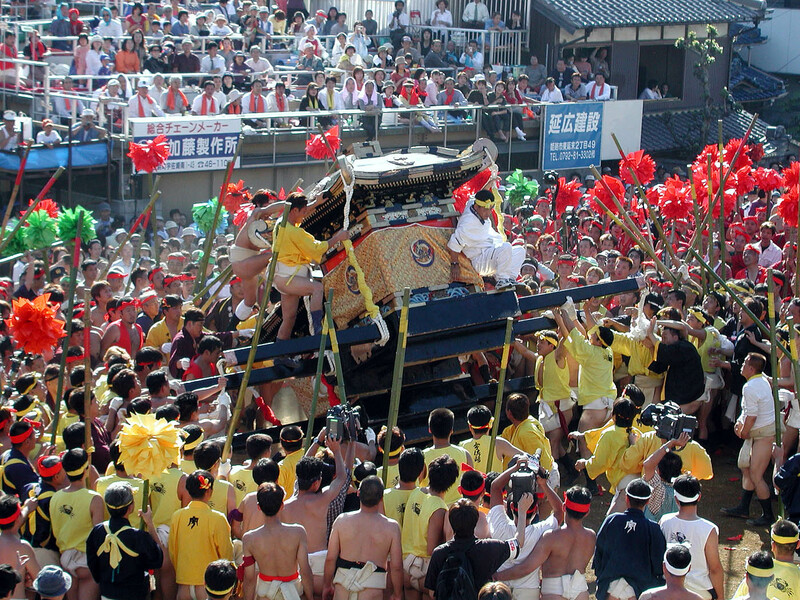 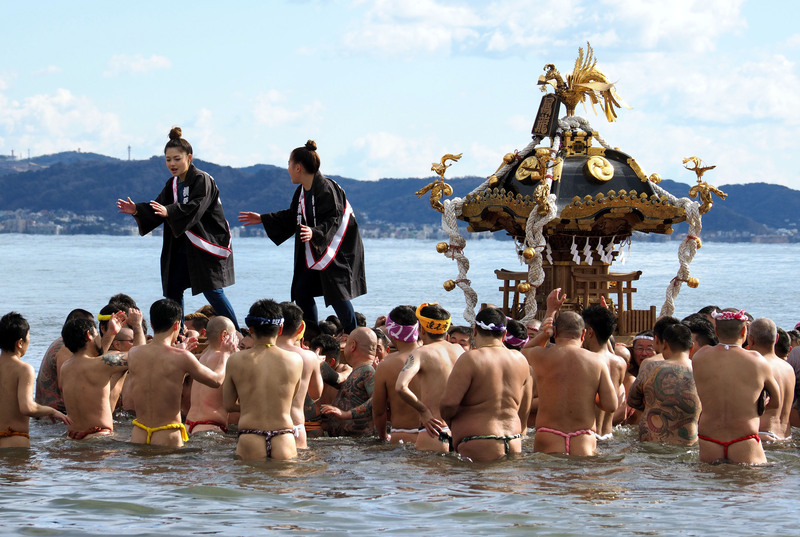 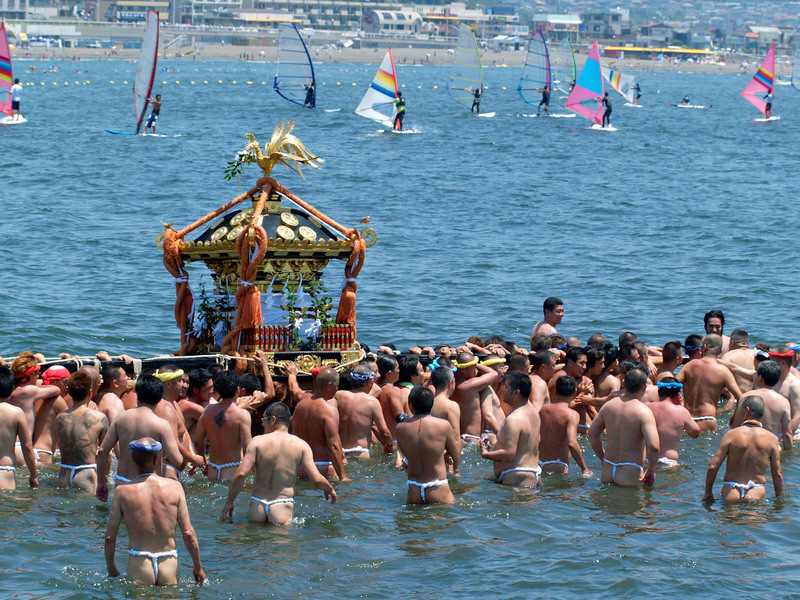 Early spring, the first mikoshi of the year going into the sea. 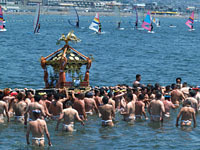 Summer purification　drifting up and down on the waves. 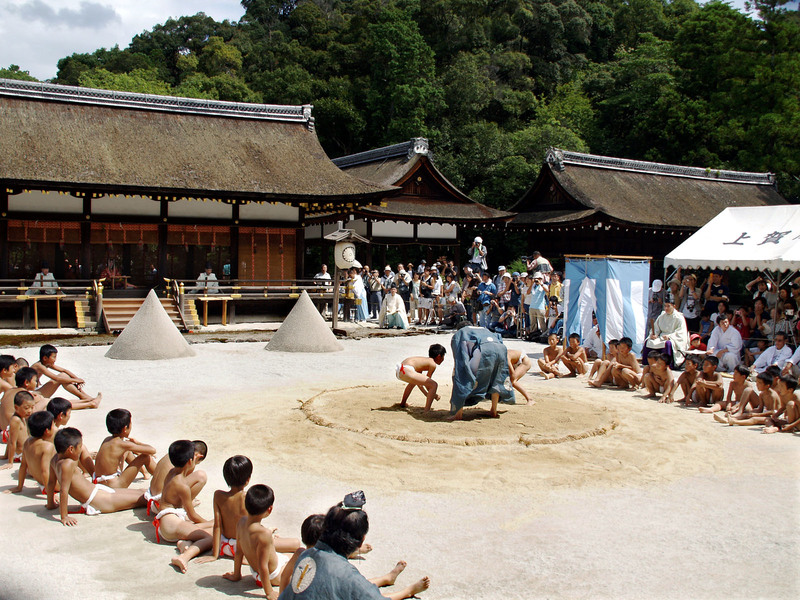 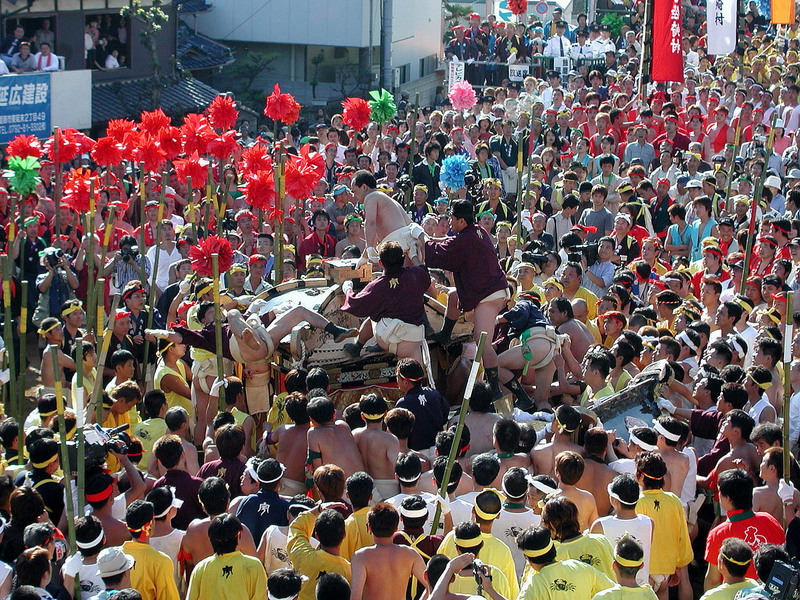 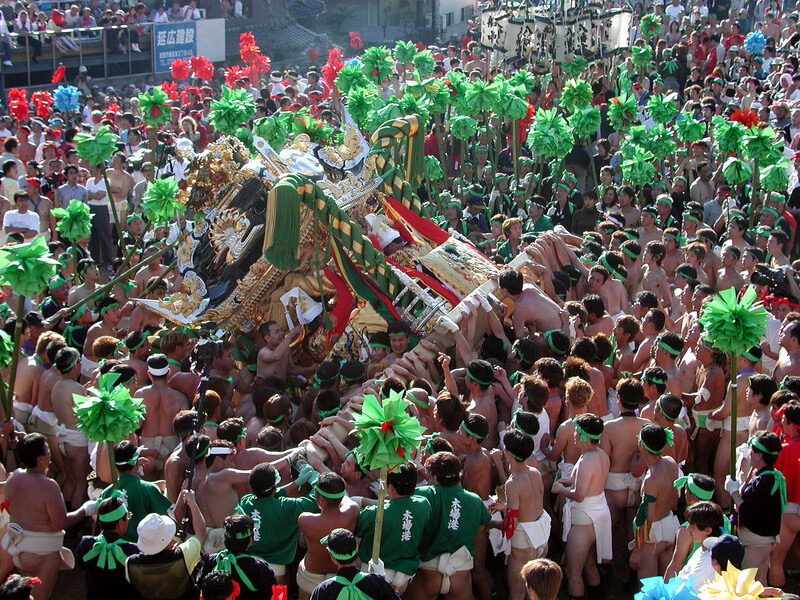 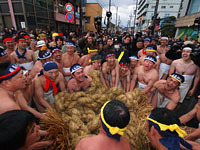 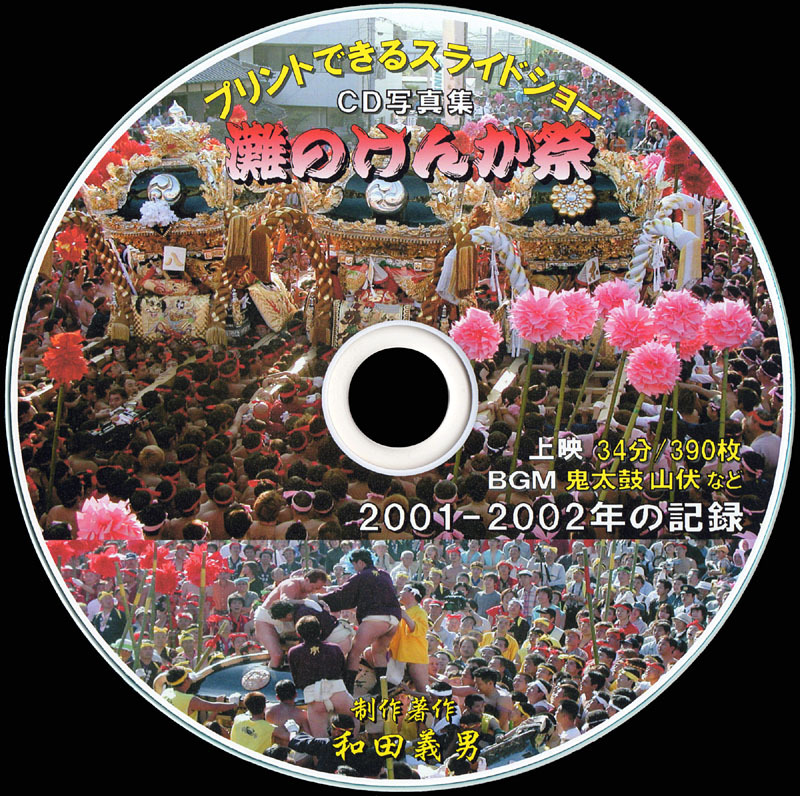 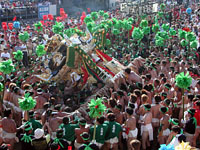 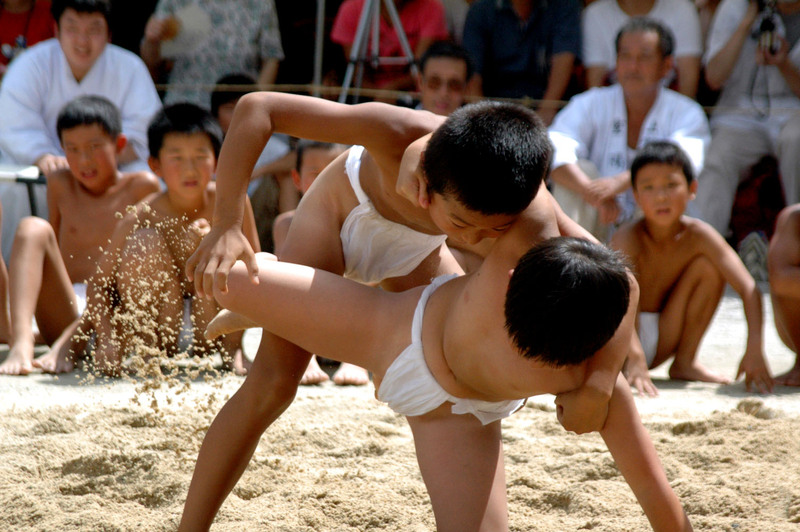 A pear of sand cone, White fundoshi sash of sumo children wrestling.